Wyborowa vodka is produced in Poland, the birthpace of vodka, where it has been made for over five centuries. Vodka Wyborowa is made from pure, rye-grain according to the Polish, traditional formula, triple-distilled and highly appreciated for it's refined taste. 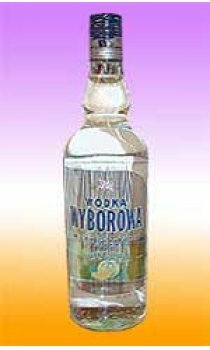 Vodka Wyborowa is distilled using water from 200 metre deep, spring wells and has a slighlty perceptable sweetness coming from it's raw material - rye grain.